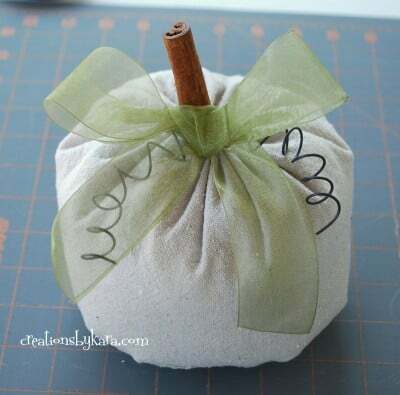 So today I am sharing my easy peasy pumpkin tutorial. 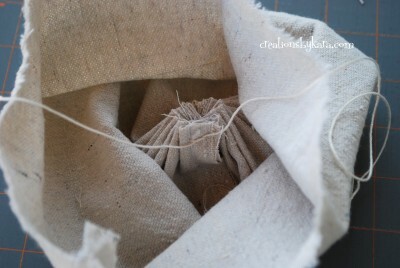 I used canvas for this one, but you can use any type of fabric. I'm working on a bunch right now made out of upholstery fabric, but you could also use fun cotton fabric. 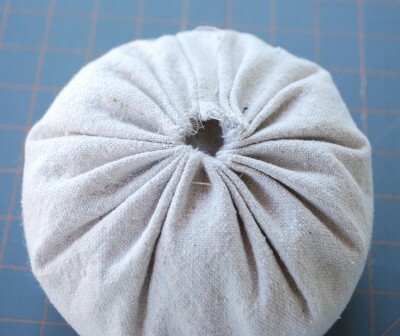 You can make them chic and classy, or fun and funky, just by altering the fabric you use. So have fun with them! 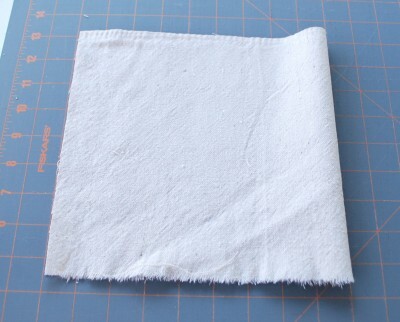 1-Cut your fabric. You want the length to be about twice the height. For this pumpkin I cut my fabric 9x18". 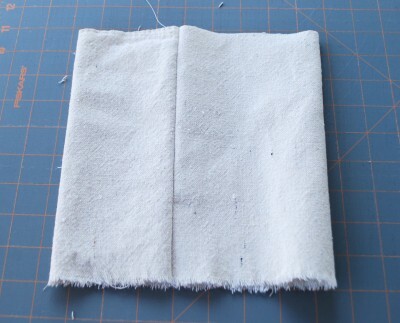 2-Fold the fabric in half. 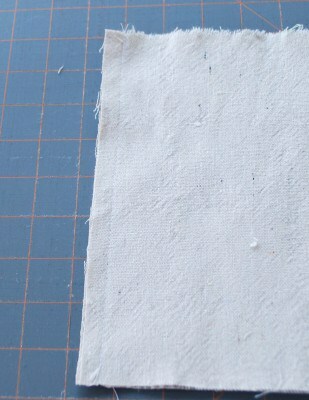 3-Stitch up the short side, leaving a 1/2" seam allowance. 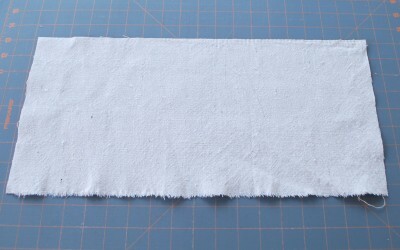 4-Now turn the whole thing right side out. You should have a groovy little tube. 5-It's time to gather the bottom together. 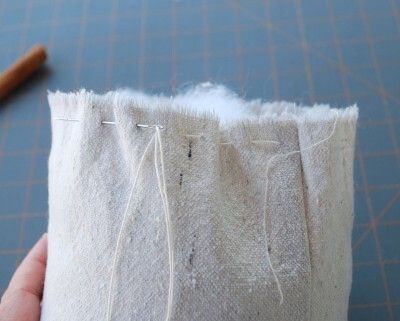 Take your thread and needle and do a running stitch all the way around the bottom edge. 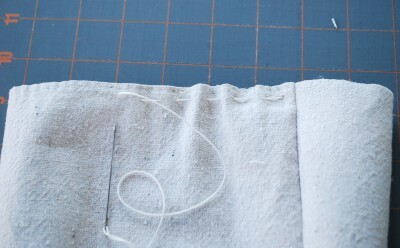 6-Pull the two ends of the thread to gather the fabric. 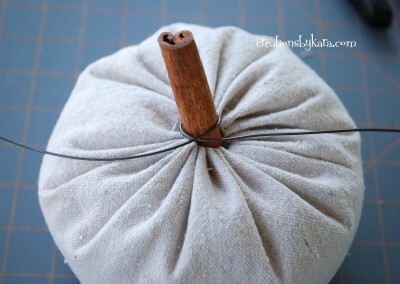 7-Now push the thread ends to the inside of the pumpkin and tie a knot on the inside. 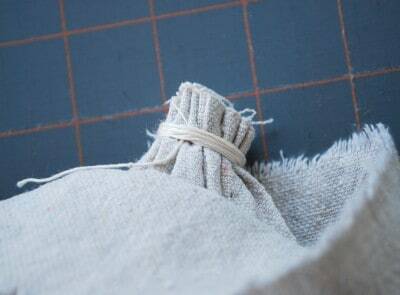 8-And since I like a bit of overkill, I wrap the excess thread ends around the fabric to make sure nothing slips. 9-Now it's time for stuffing. 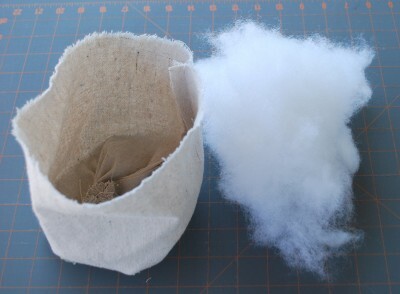 Take some fiberfill and put it in the pumpkin. It doesn't need to be stuffed tight, it should be pretty squishy. 10-Now you need to gather the top, just like you did the bottom. 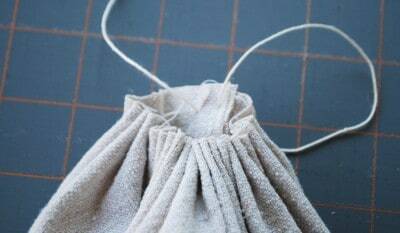 Do a running stitch all around the top edge. 11-Start pulling the thread ends to gather the top. At this point you can add or take out stuffing to get your pumpkin how you like it. 12-When you have it how you like, tie a knot. Make sure you leave a hole for your stem! 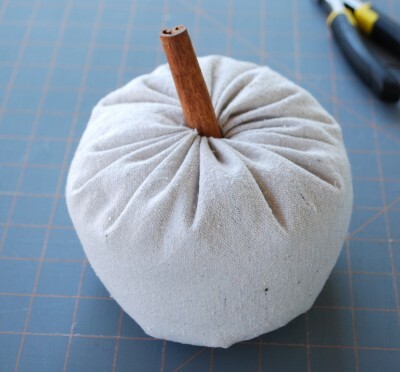 13-Put some hot glue in the hole and push in your cinnamon stick stem. If you don't have cinnamon sticks, a wood stick will work just fine. 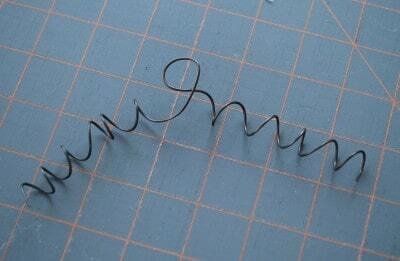 14-Take a piece of wire (mine was 22" long) and wrap it around the stem. 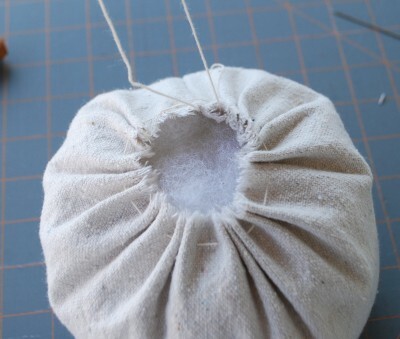 15-Now slide the wire off so you can curl the ends. 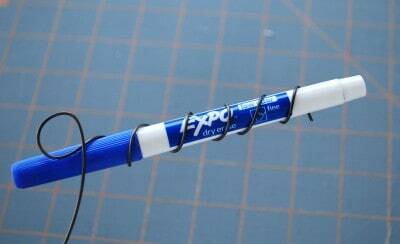 Wrap them around a screwdriver, or if you can't find a screwdriver, a dry erase marker will do. Ahem. After both sides are nice and curly, just slide it back over the stem. 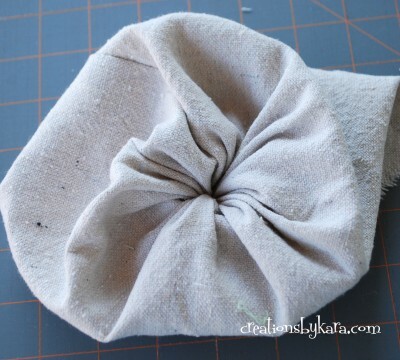 16-Now all you have to do is tie a ribbon bow and attach it with hot glue. Easy Peasy! Wasn't that easy? Once you get the hang of it, they're so quick that you can whip up an entire pumpkin patch in an afternoon! 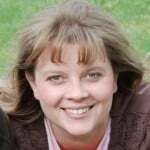 If you want even more fall ideas, feel free to stop by Creations by Kara anytime. Darling Kara! I need to get busy making my own pumpkin patch! I love the cinnamon stick idea! I have a tutorial for you tomorrow that goes along with our giveaways!! So make sure you come back tomorrow and Have a great weekend! I like this idea, super cute and super easy to do. A simple, but darling pumpkin! I can see a whole mantle covered with these lovelies!